Elisabeth is a licensed psychologist and Certified Emotionally Focused Couples Therapist and Supervisor in private practice in Chester, NJ. In independent practice since 1984, she specializes in working with couples, individuals and families. 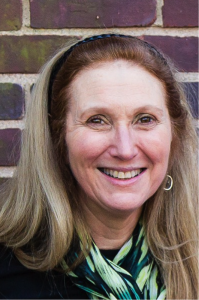 She is currently a clinical supervisor for the Graduate School of Applied and Professional Psychology at Rutgers University and, with Dr. Skean, Co-Director of the Couples Therapy Training Clinic there. She has training and experience in psychodynamic therapy, Gestalt Therapy, Sensorimotor Therapy, EMDR and AEDP. As an integrationist, she strives to help couples negotiate the minefields of intimacy to develop safe, secure and loving relationships. Dr. Brown’s previous experience includes serving as Outreach Coordinator for the Rutgers College Counseling Center, where she ran large-scale workshops on relationships for students. She holds a Psy.D. in Clinical Psychology from the Graduate School of Applied and Professional Psychology at Rutgers University, an M.Ed. in Counseling from Boston University and a B.A. in Psychology from Connecticut College.